Through you, life is constantly being born anew. You are an instrument of love. If you want a different world, you must give birth to it. You must come to know what is in your heart. You have a powerful knowing to give voice to and we need your voice – we need all voices to find their true Source – that source within. You do this by going within – by consciously turning and going within to listen deeply and bring forth what you come to know and hear. Speaking what is true can be a challenge. Oftentimes, the space and time between what you truly long to say and what you end up saying can be very short – meaning, there is something inside of you that you long to say, yet the more ‘programmed’ voice will speak over it almost immediately. But notice I wrote ‘almost’. There IS a space between what you long to say and what you often do say and it is this space we adventure into in Writing Raw. What you long for is longing for you. What you long to say lies within you, in the deeper layers of your being, often as deep as your bones. To come into contact with this inner voice before it is silenced, you need to come into the inner territory with reverence, awareness, and a true desire to hear. Your true voice is accessible. It really is. 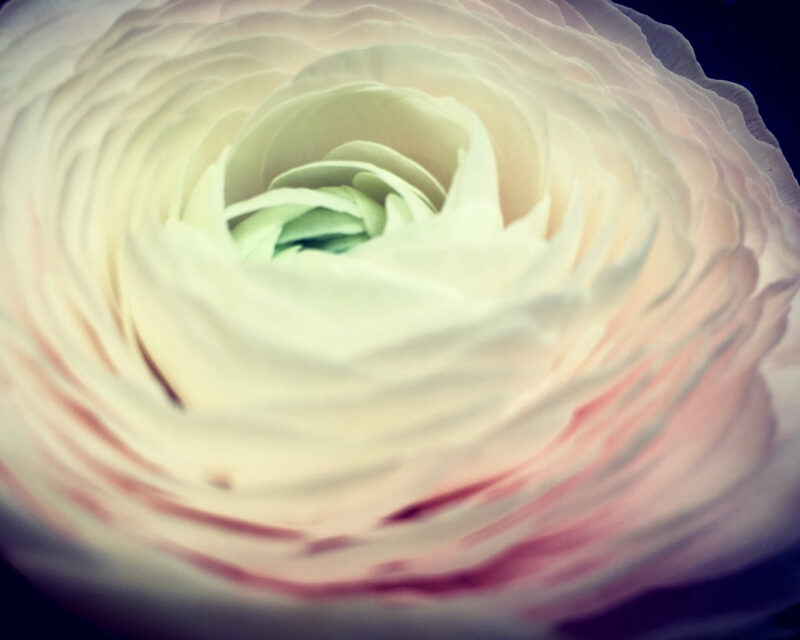 When the initial glimmer of Writing Raw first came to me, I knew it would be a way to rediscover within oneself the sacred, sensuous realm that most of us have come to believe does not exist within us. 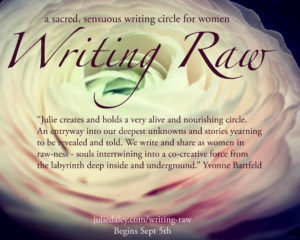 After three years and many women, this is exactly what Writing Raw is – a threshold into your sacred, sensuous nature; a threshold into feminine community; and many thresholds into your deep imagination and ways of bringing this forth into words. We write together. In community. In circle. In reverence and love. We learn to listen to ourselves and to each other, and eventually to the vast space of what has not yet come into form. For we are that which can bring formlessness into form. I can tell you this realm exists within you. It is deep and glorious, and it longs to come into a direct relationship with your conscious self. 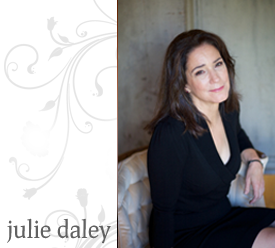 To discover great faith in yourself – in who you truly are – is a profound turning point. It isn’t complicated. It is truly simple in many ways. But it does take a desire to hear what is underneath the predictable and safe. No one can tell you what you will find within but you can be guided to find your way. I am one of those guides and it is what I love to do. Writing is the vehicle that we use to reawaken our conscious awareness of soul and deep imagination. It’s what we use to ‘realize into form’ our innate creativity. And it’s what we use to remember what is true about women – that we naturally and innately know how to weave ourselves into a sacred tapestry of communal expression. Few of us enter into this kind of exploration without fears or anxiety. But what I know is that alongside this fear is a deep longing to reawaken, realize, and remember… This is the call of soul. This is what matters now in these times. No healing or evolution will come without accessing the realm of soul. Previous post: We are living, breathing creatures who long to voice our aliveness.